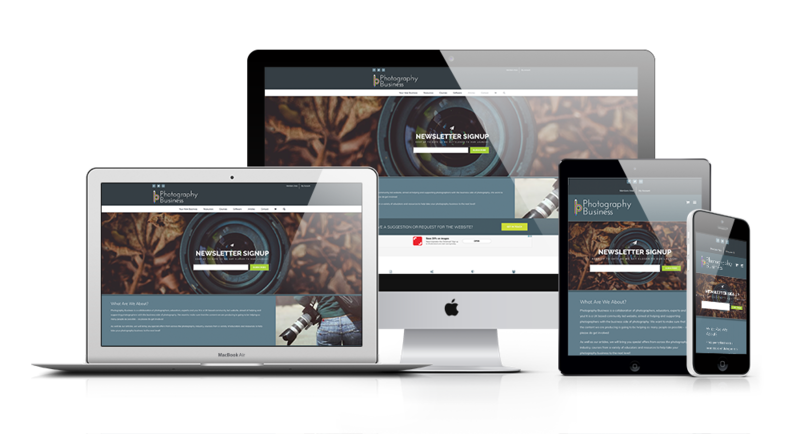 ‘Photography Business’ is actually one of our own projects, and is aimed at providing a range of resources for photographers to help them manage their businesses. While still a work in progress, the website and associated social media accounts all blend in nicely with their branding, and use of stock imagery. Over time this website will have an online course system as well as a members only area for specific resources.